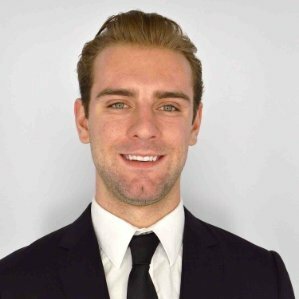 Dustin Shreeve graduated from Dalhousie’s Bachelor of Commerce program, with a major in Finance, in 2014. Dustin is also certified as an SAP business associate, which he believes is a competitive advantage for him in the work force. Now, he is taking part in Maple Leaf Foods’ Leadership Track Career Development Program in Mississauga, Ontario! 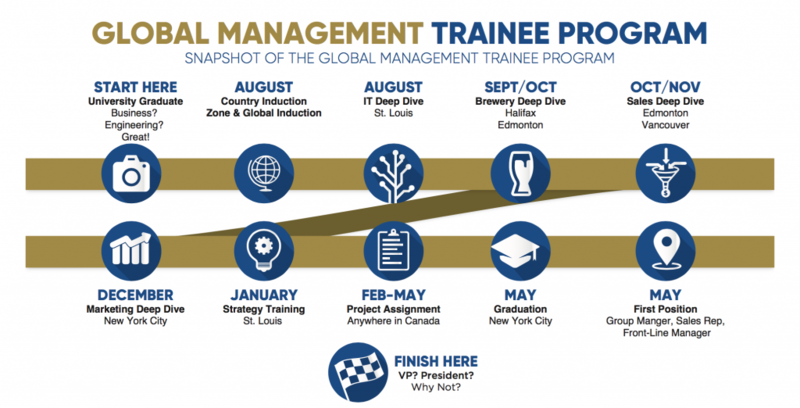 Maple Leaf Foods’ Leadership Track Career Development Program is Maple Leaf Foods’ early leadership development program for talented, driven and ambitious graduates. Participants in this three-year rotational program will develop leadership and functional expertise in preparation to be a future Maple Leaf Foods leader. Participants choose a stream: Marketing, Sales, Information Solutions, or Supply Chain / Logistics and rotate through three roles, each one year in length within their chosen function. The Leadership Track Career Development Program provides participants with senior level mentorship, networking opportunities, and ongoing coaching and constructive feedback. Dustin completed preliminary screening, a phone and online video interview, and then a 3rd interview at the head office to secure his job with the organization. Two of Dustin’s co-op work terms were with Scotiabank and Bell Aliant, and he says that having work experience in large companies also gave him an edge, in terms of transferable skills. Now Dustin is using those skills in his first rotation as an Analyst with Maple Leaf Foods’ Finance & Reporting team in the Information Solutions department. In this position Dustin uses his skills to support the Finance function on Internal projects focused on implementing exciting new technologies across the company. To learn more about Maple Leaf Foods’ Leadership Track Career Development Program, visit the Events Calendar in myCareer to register for Maple Leaf Foods’ Career Webinar on October 12th. And, be sure to apply for the job postings associated with the program: #66739 and #66740 under the Career Services section of myCareer.